Teen Driver Technology keep you safe and guide your teens the safe driving habits. The Centre for Disease Control and Prevention is the leading Public health Institute of United States of America and according to them, more than 180 people die every month due to vehicle-related injuries hence Chevrolet developed a technology that keeps your family safe all the time as nothing is more important than the safety of your family. What is Teen Driver Technology? A Teen Driver software is smart enough to guide your new driver when you are not available. It lets you set the speed alert, audio limit, Seatbelt audio so it’s a complete teaching tool that guides you at every moment and keeps you safe. 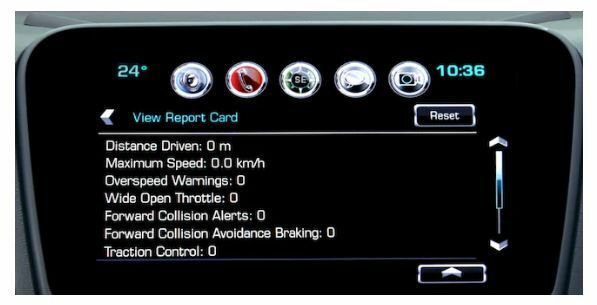 You are going to adopt good habits and avoid bad ones with this new guiding tool as it generates your full report card of driving. Currently, Chevrolet is offering this technology on following 10 models:- Bolt EV, Camaro, Colorado, Cruze, Malibu, Silverado, Equinox, Suburban, Tahoe, and Malibu. Study shows that only 60% of the students wear seat belt, Today’s generation teen would like to drive a car at a fast speed and more than 90% would listen to a distracting and loud music which increases the chance of road accidents hence this inbuild technology inside the car would guide and show the drivers to avoid these habits. A Teen Driver has safety features like such as Stability Control, Front/Rear Park Assist, Side Blind Zone Alert, Forward Collision Alert, etc. which gets automatically turn on. Each time you used a key some of the functions will automatically get turn on like muting an audio system until the front seat is occupied, setting the maximum speed limit. How to Setup Teen Driver Technology? Enter a pin to access the Teen Driver Menu through the available Chevrolet MyLink† display. When your teen drives the vehicle with a registered key then features like speed alert, audio limit, speed limiter, seat belt audio mute is going to enabled automatically which teen can shut down manually. Chevy’s Teen Technology is smart enough to keep your family safe from injuries and road accidents hence you should adopt these good habits which teens guide you as soon as possible in order to become a perfect driver.